Noah Hawley has found tremendous success with FX's Legion series, which as a spinoff of the X-Men movie franchise had potential to be a disaster that alienated fans. Instead, Hawley has found a way to make the show accessible to everyone who loves trippy stories that mess with your head. 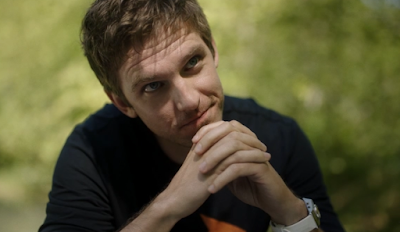 His astronaut drama Pale Blue Dot sounds like it may be just as paranoid and unnerving, which may be why Hawley is turning to his Legion star Dan Stevens for a key role. Stevens has joined Natalie Portman, Jon Hamm, and Zazie Beetz in Pale Blue Dot, which is loosely based on the story of Lisa Nowak, the astronaut who drove 900 miles (the joke was she wore space diapers the whole way) to kidnap a romantic rival in a bizarre love triangle. The film will center on Portman's character, a married astronaut who returns home and finds it hard to assimilate back into normal life. Jon Hamm plays the astronaut she starts an affair with, while Zazie Beetz is the woman he moves on to, which drives Portman's character to lose her grip on reality. Stevens will play Portman's husband.